This article is about Flickr and Flickr object in Microsoft Small Basic programming language. Flickr is an image hosting web service and also a Yahoo company. GetPictureOfMoment - to get the URL of a picture of the moment. GetRandomPicture - to get the URL of a picture tagged with the given tag. Program ID PWW374-1 is a sample using Flickr.GetRandomPicture object. The original photo is licensed under by Luc. 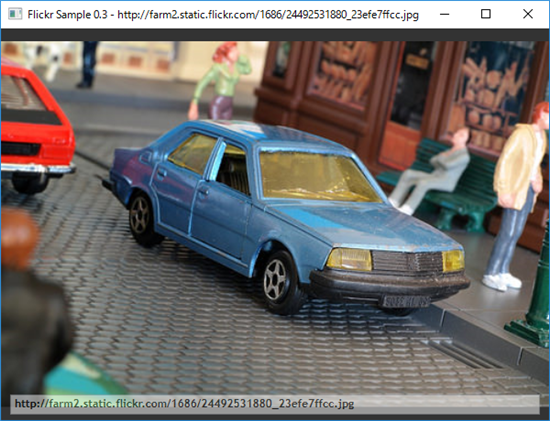 Flickr object doesn't work in Small Basic v1.0 from June 2014. This problem was fixed in Small Basic v1.1.